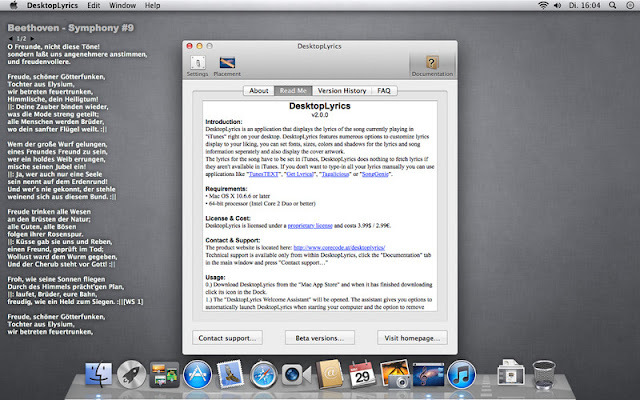 iTunes is the music player of choice for most Mac users because it is easy to use and it is also used to sync and organize media on iPhones and iPads. Furthermore, it recently received a major update to address an aging interface and sluggish performance. 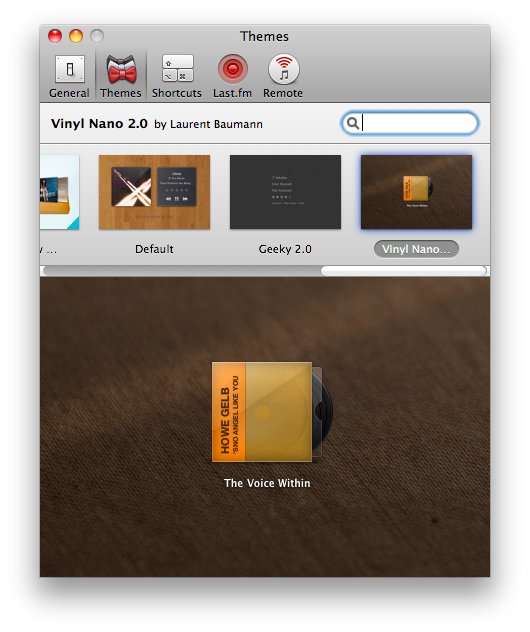 Although iTunes is a competent music player, there are apps out that that can enhance your listening experience with iTunes, and at the same time, also create a musiccentric desktop theme. With these three apps, you can automatically download lyrics as you play songs, display the lyrics on your desktop, and even control iTunes with a customizable mini-player and keyboard shortcuts. Get Lyrical is an app that automatically downloads lyrics to songs that you are playing in iTunes. It gets most of its lyrics from lyrics.wikia.com, and it worked well in our testing and can even download lyrics to Chinese, Japanese and French songs. Of course, if you are listening to songs from obscure indie bands or foreign artists, there’s a chance that the lyrics are not available. The app is dead simple to use and give users three options - Tag Selection, Tag Current and Active Tagging. 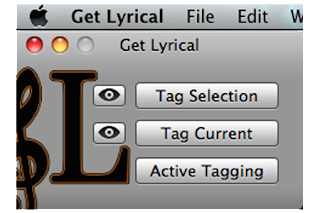 Tag Selection tells the app to download lyrics for the selection of tracks you have made in iTunes. Tag Current downloads lyrics to the song that is currently playing. 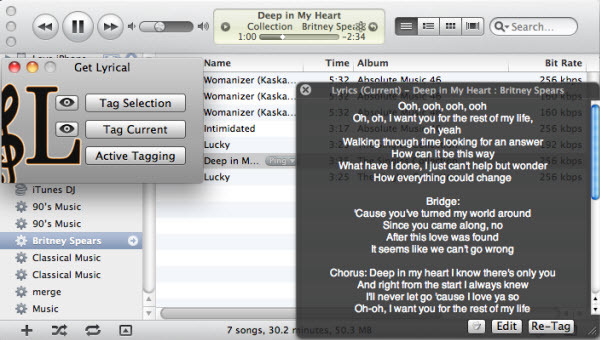 Finally, Active Tagging automatically downloads lyrics to songs as iTunes plays them. 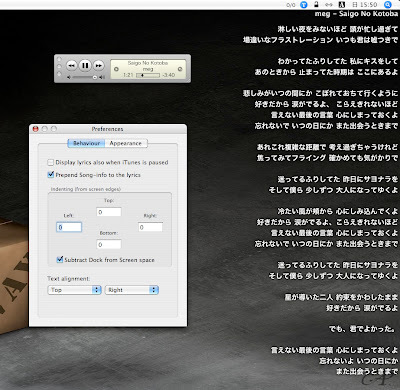 This is the most useful option, since once configured, it will work in the background and download lyrics automatically. Desktop Lyrics is an app that does exactly as its name suggests - display lyrics on your desktop. The current version (2.2) is a paid app on the Mac App Store, but we found that the older version (1.3), which is available free, works just as well. The app offers a simple-looking preference pane for customization and that’s really all you need. With it, you can customize the position of where the lyrics will appear on your desktop and also choose your desired font, size and color. The app supports foreign languages such as Chinese, Japanese and Korean too. However, adjusting the position of where you want the lyrics to appear is a bit cumbersome, as the size of the lyric window is defined by setting indent spaces from the edge of the screen in pixels. This means some trial and error before you can get the position of the lyrics right. The paid version offers a preview function which makes this process easier, but if you are patient, the free version works just as well. iTunes has a MiniPlayer mode that lets you have control and access to your music collection without taking up too much desktop real-estate. With iTunes 11, the MiniPlayer mode has been drastically improved, but if you want something customizable, look to Bowtie. Bowtie is a free app that lets you “see and control” your music. It may not offer as much control as iTunes’ “MiniPlayer”, but you can customize the way it looks using free downloadable themes. 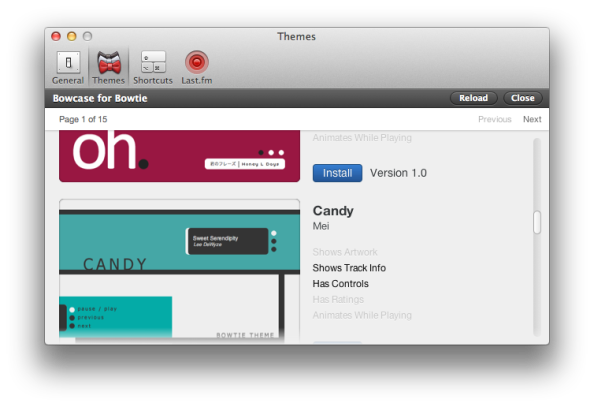 Therefore, for those who are into desktop customization, Bowtie is perfect. The themes available are varied, and range from simple ones that display just track and album titles to more full-featured ones that display track progress, album art and even ratings. The same theme is often available in different color schemes too, to let users match their wallpaper.